One of Woodland Park Zoo’s not-so-secret spaces is actually adjacent to the zoo itself, the WoodlandPark Rose Garden. Established as a civic garden in 1922, the 2.5 acre space is cared for and kept by the zoo’s horticulture staff and our Lead Rose Gardener and rose-master, Matt Manion. 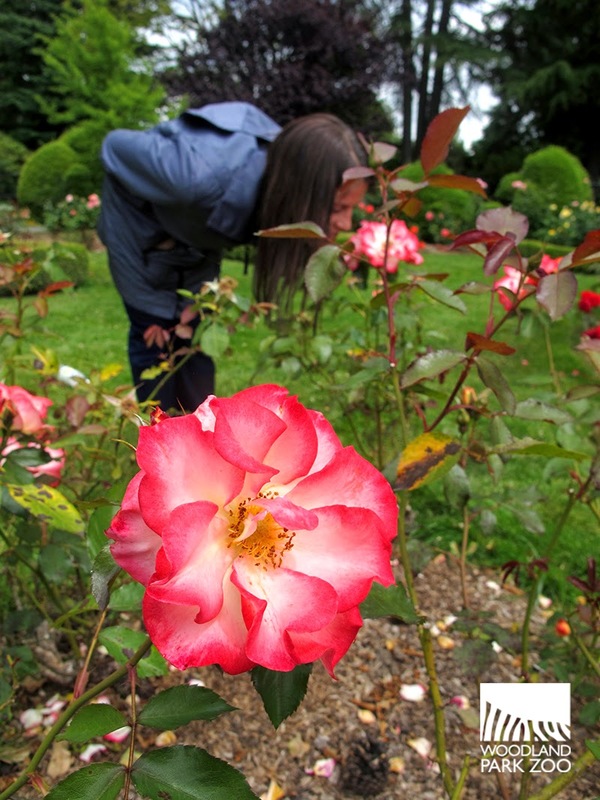 The garden hosts nearly 200 varieties of roses, showcasing those that thrive in the Pacific Northwest climate. Showing our appreciation for our dedicated horticulture crew! 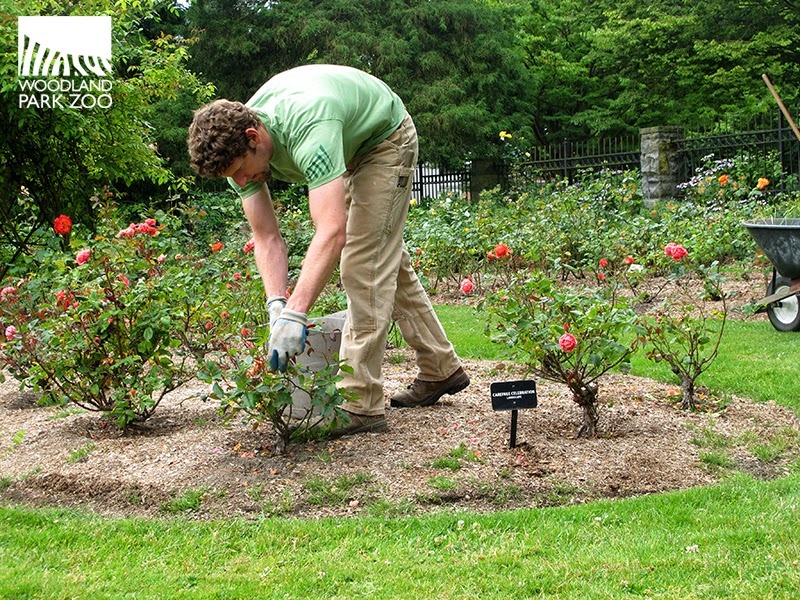 Since 2006, the Rose Garden has been pesticide free. Pesticides pollute through rain runoff in Seattle, making it all the way to Puget Sound. 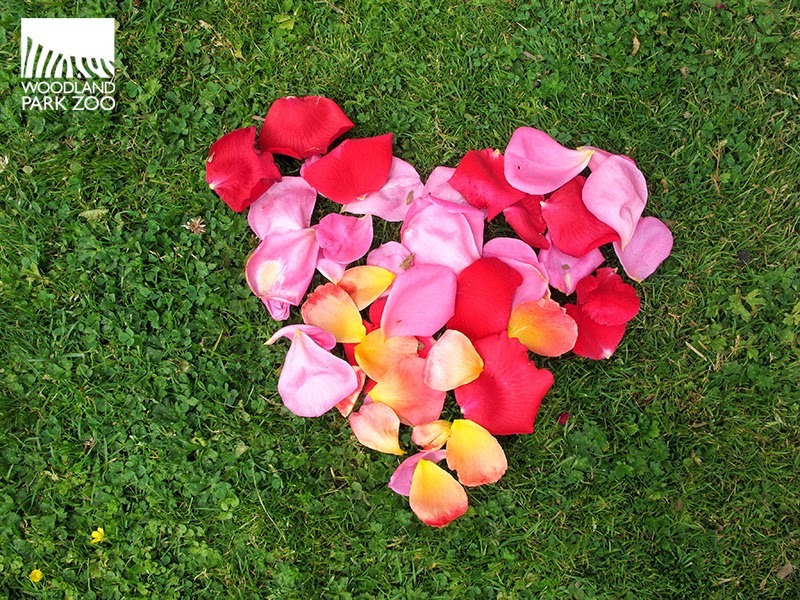 Plus, we like to treat our animals to roses, and we wouldn't want them ingesting those toxins. Using the natural approach means building healthy soils, practicing smart watering and planting disease-resistant varieties. Matt says that these sustainable methods will work well in your own garden too. This time of year, he suggests that rose aficionados spend time dead-heading their plants. 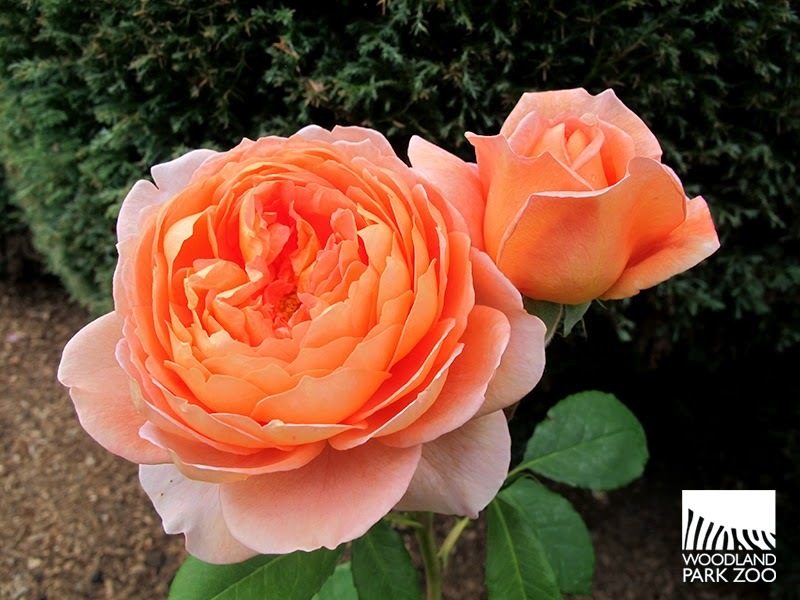 Summer pruning (referred to as dead-heading) keeps rose plants blooming throughout the season. Dead-heading removes withering flowers from a rose bush so that the hips do not form. By diverting energy that would be used for hip development, the plant can focus on producing new flowers. 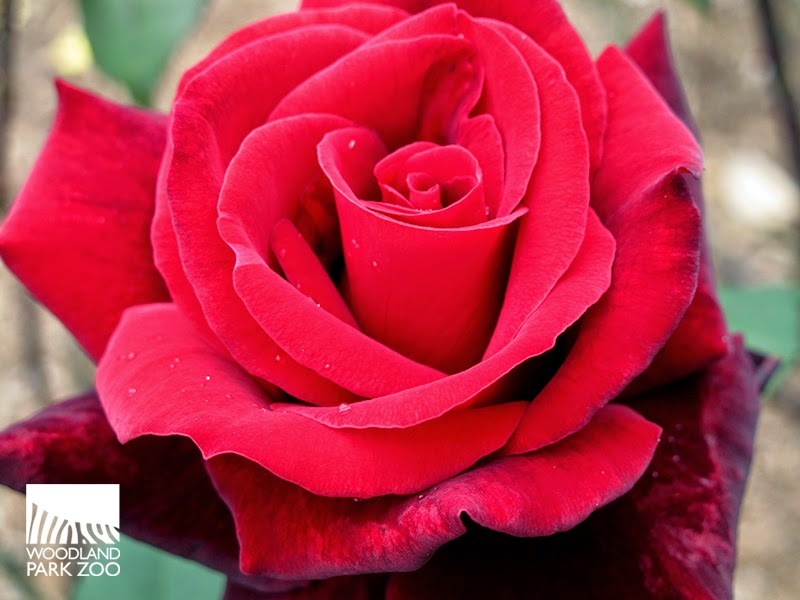 You can learn more about rose care and sustainable gardening by visiting the garden. We took a summer stroll through the aisles of 3,000 roses and found just a few to share with you here. A David Austen rose type, Grace has a particularly fruity scent. 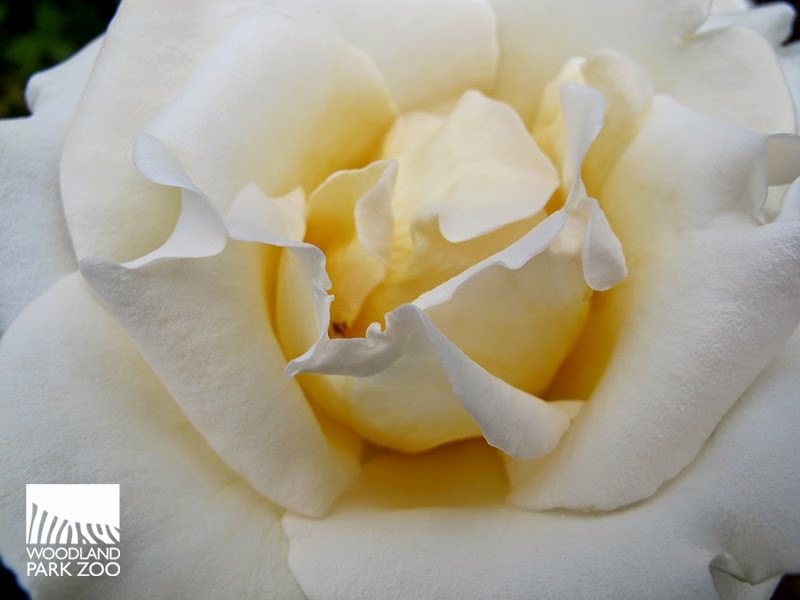 An All American Rose Selection, this Hybrid Tea rose is called Whisper. Diana Princess of Wales, shows off its beautiful blushing petals. 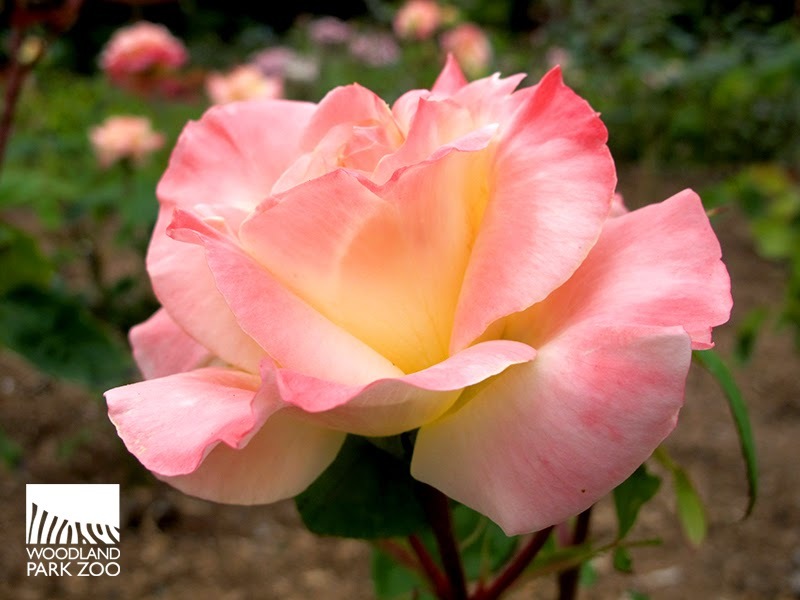 This Hybrid Tea rose is a tribute to"England's Rose"the beloved Royal Princess. Double Delight, another All American Rose Selection, is a Grandiflora rose with brilliant colors. A rose by any other name? With countless varieties of roses, the names of each cultivar are extensive, creative and sometimes humorous. 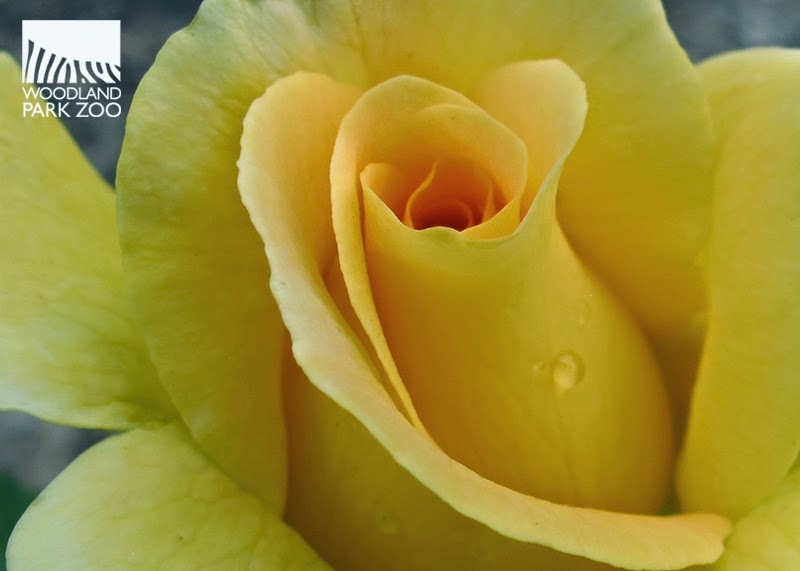 Rose cultivars can be descriptive, referencing color, scent or taste, but some names allude to fictional characters, pop culture or even a favorite pet. Senior gardener Matt Manion works on some summer pruning. With 2.5 acres of rose beds, the rose garden keeps our hort crew busy! Some of the not-so-pretty roses are given to our residents, such as gorillas or bears, who are more than pleased to gobble them up. Taboo, a luscious red Hybrid Tea rose. The Woodland Park Zoo rose garden is open from 7:00 a.m. until dusk every day of the year. The garden sits outside zoo gates and entry is free to visitors. 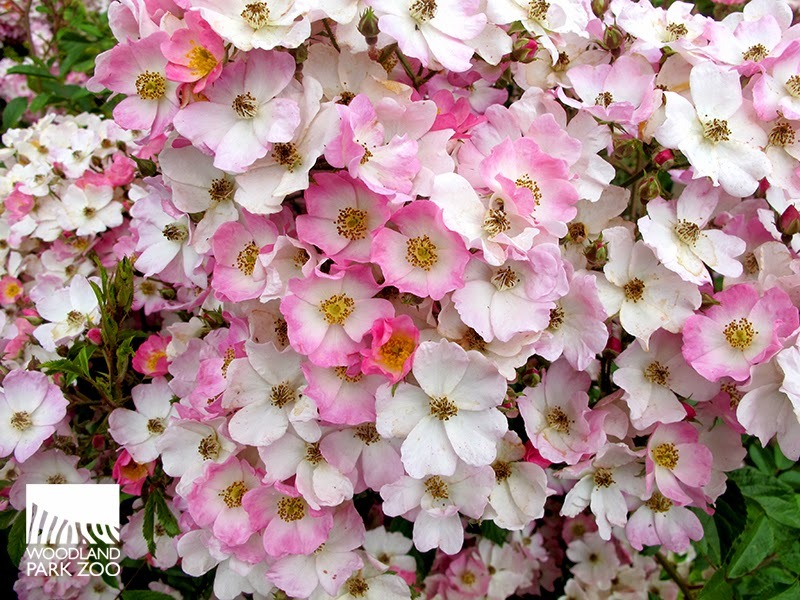 Ballerina, a Hybrid Musk rose is teeming with delicate, pearly pink petals. Honey Bouquet, a Floribunda beauty. Lagerfeld, a pale violet Grandiflora introduced in 1986 is named after a famous designer, can you guess who? Betty Boop, a gorgeous All American Rose Selection Grandiflora rose... as fragrant as it is beautiful. We really need to work on the digital scent technology aspect of this blog! 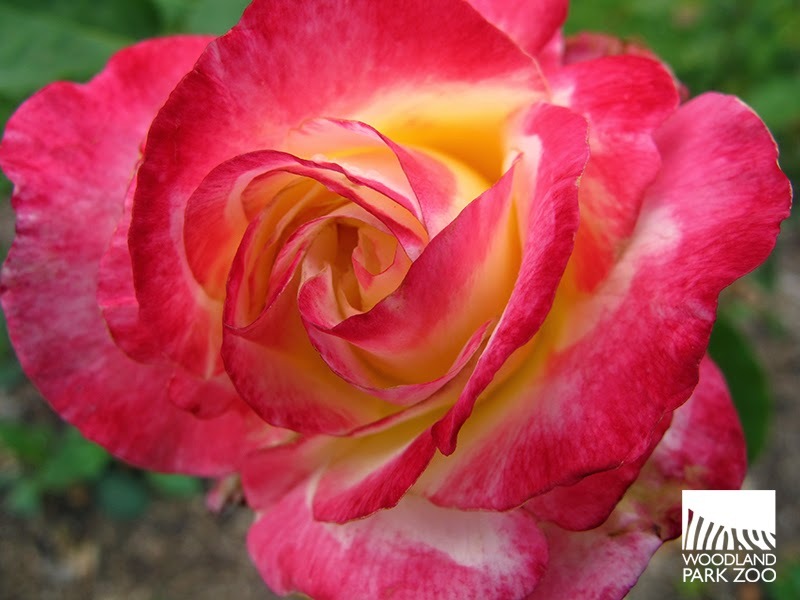 Don't forget to stop and smell the roses on your way to the zoo! Where is this flower garden located? No info in the heading. The photos of roses are outstanding. The garden is just outside zoo gates at N. 50th Street and Fremont Ave. N. If you follow the link in the first paragraph to www.zoo.org/roses you can get more details for planning your visit. Hope you get a chance to see it in bloom! My wife and I are planning a trip to Seattle for 2015. 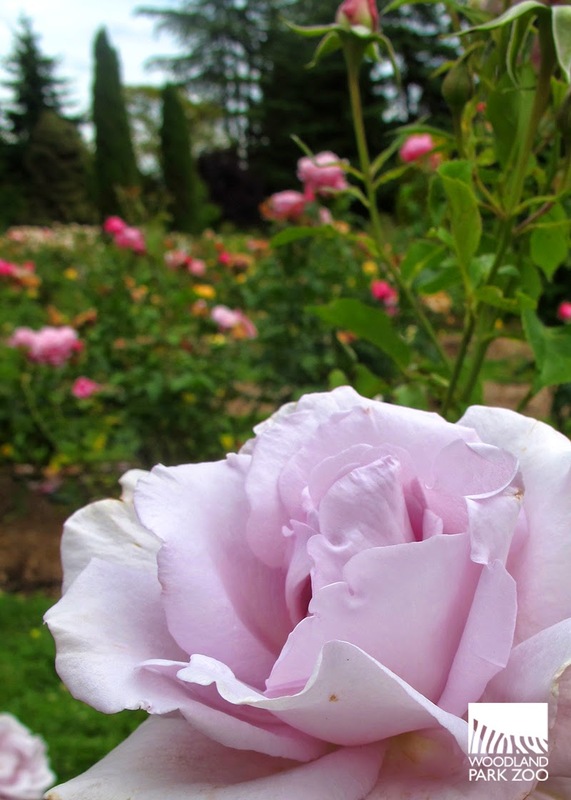 When is the best time to view the roses at Woodland Park? The Rose Garden is especially beautiful in June and July, thought it's been known to bloom early and stay in bloom late!